A special edition of the book club at School of The Damned‘s Common Room, a week-long public programme of free educational workshops, talks and participatory events at Guest Projects (22-29 July 2017). We will be reading an essay on pedagogical partcipatory art projects from Claire Bishop’s book Artifical Hells (2012). This discussion will be chaired by Renata Minoldo from School of the Damned. Tania Bruguera & Anri Sala  Cátedra Arte de Conducta (Behavior Art School), Havana, Cuba. DOWNLOAD Claire Bishop (2012). Pedagogical Projects: How do you bring a classroom to life as if it were a work of art? In Artificial Hells, Participatory Art and Politics Spectatorship. London: Verso, pp. 241-274. Artificial Hells, by Claire Bishop is a compendium of Participatory Art as a quite recent contemporary practice. It goes through the history of this medium and analyses from a critical and historical perspective its methodologies, processes and structures. In chapter 9 particularly, titled How do you bring a classroom to life as if it were a work of art? she focuses her attention to the most recent Participatory Projects and their main or more iconic examples, questioning the term participation as well and analysing the concept of art education in relation to participatory art, pedagogy and academic capitalism. As I am currently member of an alternative art school, part of my interests have been focusing more and more on topics related to pedagogy, communities, education, participatory art, as does part of my practice. 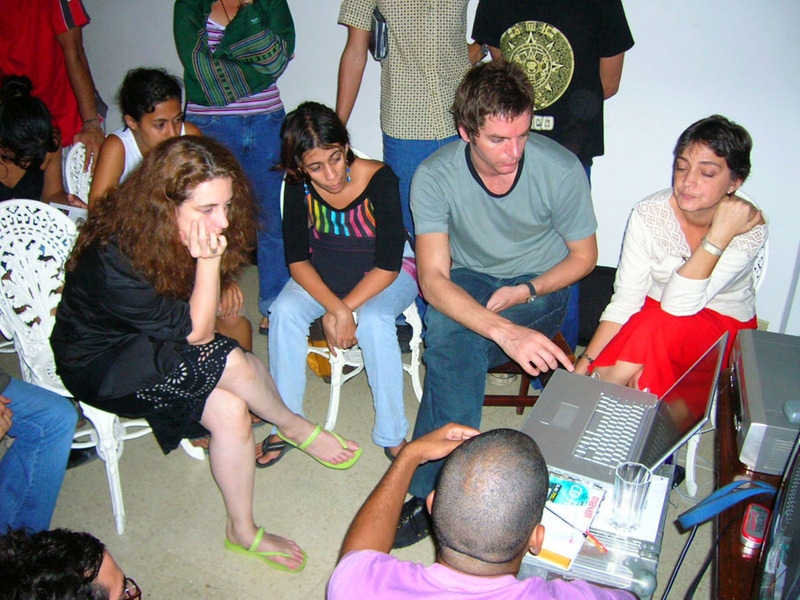 How to give value to what is invisible, as the processes occurring on participatory art projects? What is the relationship between art, education and performance? What is the difference in between Humanities and Social Sciences? What is considered to be an Adornian understanding of art, according to Bishop? Guattari says that we are on the brink of a new paradigm in which art is no longer beholden to capital. In this ethico-aesthetic paradigm, art should claim a key position of transversality with respect to other universes of value. Transversality for Guattari, denotes a militant, social, undisciplined creativity. Could we expand this concept of transversality according to Guattari? What is to be considered as Pedagogical Aesthetics? Bishop makes reference, in more than one occasion about Marxist and Post Marxist writing, could you recommend bibliography to start approaching Marx for a beginner? And some introduction to Political Philosophy? Renata Minoldo is an Argentinian based in Hackney, London. She has a BA in Fashion Design and studied Fine Arts at Uni and through going to museums and galleries, doing workshops, talking with friends, practising self education and doing crits. Her background involves visual arts and clothing. She has international working experience as a costume designer including London, New York and Buenos Aires. As a teaching artist she has facilitated art and clothing workshops for adults and children. She is also member of School of the Damned Class 2018 and is currently exploring alternative learning and teaching methods involving interdisciplinary practices. Bourriaud, Nicolas (2002/1998). Relational aesthetics. Trans. Simon Pleasance, Fronza Woods, Mathieu Copeland. Dijon: Les presses du reel. Freire, Paulo (2005/1968). Pedagogy of the Oppressed. New York: Continuum. Guattari, Felix (1992). Chaosmosis: An Ethno-aesthetic Paradigm. Trans. Paul Bains and Julian Pefanis. Bloomington and Indianapolis: Indiana University Press. Plant, Sadie (1992). The Most Radical Gesture: The Situationist International in a postmodern age. London: Routledge. Rancière, Jacques (1991). The Ignorant Schoolmaster: Five Lessons in Intellectual Emancipation. Trans. & Intro. Kristin Ross. Redwood: Stanford University Press. Kedziorek, Aleksandra and Lukasz Ronduda (2014). Oskar Hansen – Opening Modernism: On Open Form Architecture, Art and Didactics (Museum of Modern Art in Warsaw – Museum Under Construction). Warsaw: Museum of Modern Art. Wieder, Axel and Florian Zeyfang eds. (2014). Open Form: Space, Interaction, and the Tradition of Oskar Hansen. Berlin: Sternberg Press.